When I was a kid I used to watch shows that were created for the sole purpose of getting across some message. Don’t raise your voice, read your bible, eat your vegetables. Back in the day, the message was always crystal clear, as in, completely spelled out for me. The best messages though were the ones that weren’t put straight in my face but had subtlety about them. The problem with that is, you’re never quite sure if the audience gets it, so the choice is either to talk down to them, or hope the message doesn’t get lost. 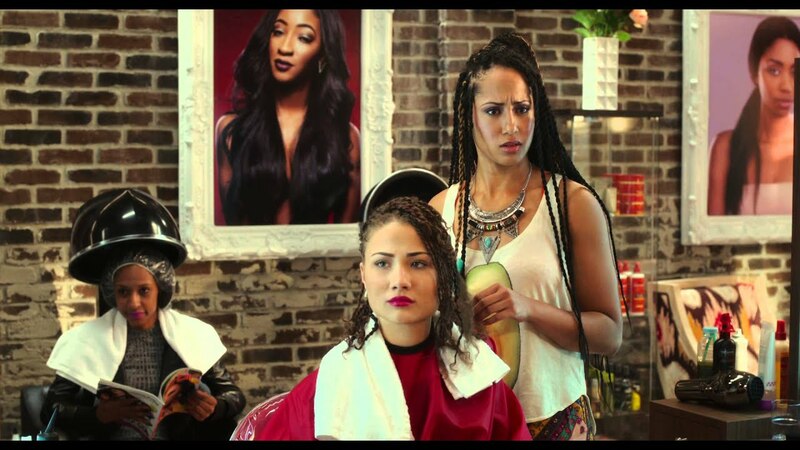 ‘Barbershop: The Next Cut’ is a movie that definitely has a message in mind, several messages, but finds a way to put it in your face, without talking down to you. The story goes that in the wake of intense gang violence in the south side of Chicago, Ice Cube’s Calvin must decide if he can suffer the ills of a violent community, run a successful business, and raise his son. As the problem doesn’t seem to be fixing itself, the crew of the barbershop propose a 48 hour period of non violence, to show that their home doesn’t need to be the war-zone it currently is. The best part about this movie is the dialogue that surrounds it. Calvin’s barbershop is home to conversation that feels purposeful, but at the same time completely common place and natural. You feel as though the views being expressed about the rise in gang violence, the black lives matter movement, and the idea of taking action to change something, are all views you’d hear in the real world. The few times where it doesn’t have that feel is when it’s moving the plot along. By and large the conversations don’t have a real end, because the issues discussed are so complex. It’s not just matters of life and death discussed either. Calvin’s barbershop is no longer the male sanctuary it once was, but now includes a beauty salon on the other side of the room. This opens up the discussion of a completely separate group of issues, pertaining to women’s rights, the evolving roles of men and women in the black community, and unattainable standards of beauty. Strangely, this doesn’t feel like a disconnect from the rest of the movie, since it plays as a regular freeflow conversation, which tends to go in all manner of directions. Margot Bingham’s face should tell you everything you need to know about how those ‘Men vs Women’ discussions go down. For all its discussions of the real world problems of the black person in modern day America, ‘Barbershop: The Next Cut’ is in fact a comedy. To that end, it’s actually pretty funny. Some of the jokes are juvenile and childish but who cares. Funny is funny. It’s especially great that the characters don’t feel one note. That is of course with the exception of Cedric the Entertainer who, while still funny in the movie, has an “I’m old” shtick that gets pretty…well old. The jokes however, don’t detach from the seriousness of the subject matter, but in fact enhances it. It goes back to that idea of natural dialogue. Joking about it simply makes it easier to talk about it, and once it gets talked about action gets taken. That action though is probably where the movie falls down. The execution of the ideas in ‘Barbershop’ leave much to be desired. In the 10 years since the last film, the story moves a long much like a movie from the mid 2000s did. Every story beat is pretty much telegraphed and will have you going, “well duh” when it comes time for those beats to hit. It’s a shame really because those scenes that are supposed to be pushing the movie’s point home, feel like a chore to sit through. Kinda like sweeping hair in a barbershop. So maybe it was the movie’s attempt at immersion? There are also a few events that feel completely unrealistic. It’s a stark contrast to the sense of realism being in the barbershop portrays. You’re supposed to get a sense of hope from the movie, but it feels too much like a movie for it to feel applicable in the real world. There is one attempt to ground it when it gets too high off the ground, but because it was a move that I found to be telegraphed like much of the rest of the movie, it didn’t have the desired effect. Overall I liked ‘Barbershop: The Next Cut’ far more than I expected to. There are a good number of scenes that feel really special and a cast that really does a lot to sell the movie’s environment to you. The ensemble here really works and is the real reason for seeing this movie, but because its most precious moments feel the least potent, it’s better you see it at Half Price.